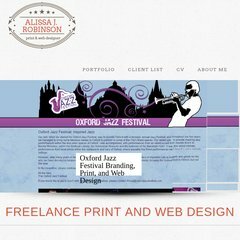 alissajrobinson.co.uk Employment History, Education and Skills | Alissa J. Robinson ..
alissajrobinson.co.uk Magazine and Newspaper Advert Designs | Alissa J. Robinson .. It is written for PHP/5.2.17 language. It is hosted by 1 1 Internet Ag Baden-wurttemberg, using Apache web server. ns33.1and1.co.uk, and ns34.1and1.co.uk are its DNS Nameservers. PING www. (82.165.104.133) 56(84) bytes of data. Pinging the server, resulted in a 130 ms response.